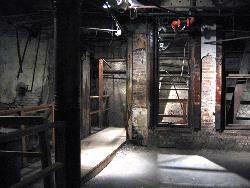 Recently I was in Seattle and took in a tourist attraction, the Seattle Underground. I was a little skeptical at first, because I thought it might be like the Atlanta Underground, which gained its initial fame from segregationist Lester Maddox, who sold ax handles at his subterranean novelty shop. He was none too subtle about the meaning of the ax handles. Seattle’s underground was born out of geological necessity and later become a family tourist attraction. A fire in 1889 ravaged Seattle’s downtown, destroying twenty-five buildings. Two lessons were learned: (a) brick and stone are more fire resistant than wood, and (b) necessity required elevating the buildings on the shore of Elliott Bay to minimize the risks of downtown flooding and the stench of toilets backing up at high tide. Our tour guide posed the question, “How was Seattle rebuilt when it became clear that the first floors of downtown buildings were no longer usable?” He said that it was simple; the work was to begin in 1893, and fortuitously the country had just fallen into an economic panic. That was bad news to some, but good news to the planners of a new downtown Seattle. The panic meant that there were lots of out-of-work people who would love nothing more than to be employed in rebuilding their city’s downtown. This explanation came from a tour guide, not a progressive economist. The words woke me out of my trance, the kind of malaise that comes from the slow-walking tours that I normally manage to avoid. Clearly, with no political agenda to advance, our tour-guide simply stated the obvious: One way out of hard economic times is to find something that has to be done and then put people to work doing the job. When the people who are hired by the government have money in their pockets, they spend it. This consumer demand provides the impetus to put factories back to work. The owners of the factories then hire more workers to rebuild inventory and to meet the demand from the spending of the workers hired by the government. 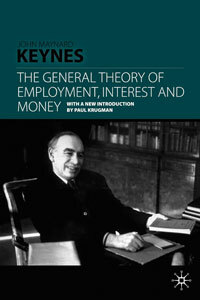 The newly hired workers in the factories and elsewhere in the private sector now have money to spend, and they further stimulate consumer spending, the engine that Keynes asserts drives capitalism. It worked for Seattle in 1893, and it worked for the United States following the Great Depression (albeit with the employment stimulus of World War II). John Kennedy swore by Keynesian economics (something he had learned at Harvard) and stimulated the economy in the early 1960s while balancing the federal budget. Lyndon Johnson saw the wisdom of Keynesian economics, but when he chose to fight the Vietnam War without raising taxes to pay for it, the economy sputtered. TIME Magazine recently published a cover story called “The Broken States of America.” Our 50 states are now running a combined deficit of $55 billion. President Obama is suggesting a special stimulus of $50 billion to help states and municipalities through tough times so that more teachers, fire fighters, police officers, etc. are not laid off. Most Republicans, the ones who so frequently advocate states’ rights, oppose President Obama’s additional mini-stimulus – perhaps because it is President Obama’s idea. Unlike states and localities, the federal government can run a deficit when needed. Both theoretical and empirical evidence gives us good reason to believe that deficit spending works in times of economic distress. I’m thankful that I started (but didn’t finish) the walking tour of Underground Seattle. Whether written or not, basic laws of economics were working in 1893, and clearly well before then. It’s another lesson from history worth learning. Previous Post:On Wisconsin! Go BadgerCare!